Project turns one year old, with a new stage in Portugal. 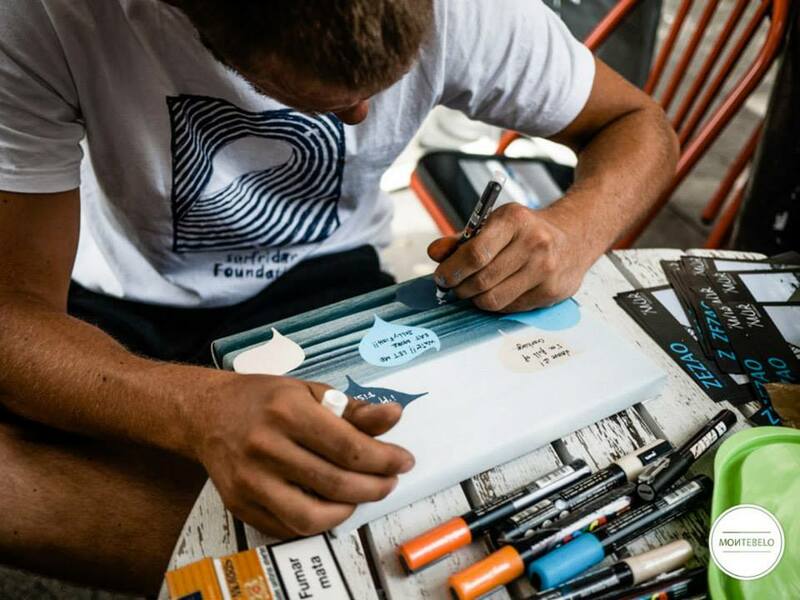 After Paris and Rio de Janeiro, Montebelo – the event organizer – is preparing another creative and collaborative afternoon on behalf of our oceans. 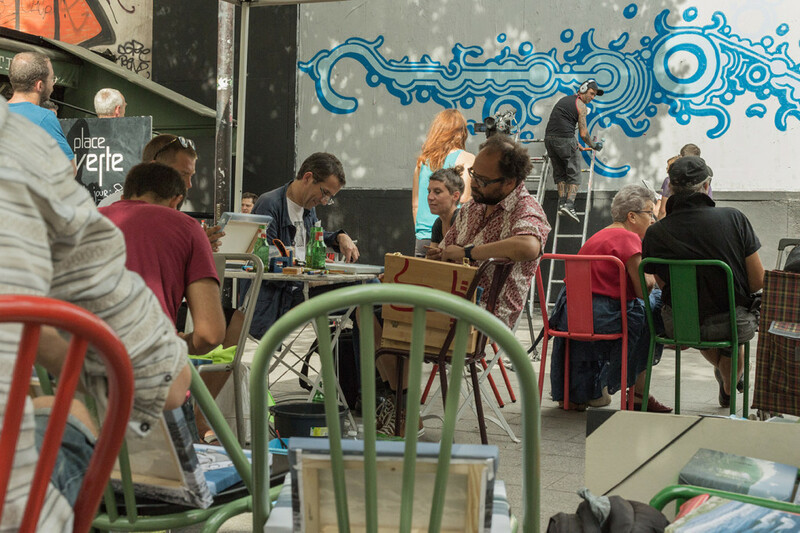 The third stage of the Project Street-Art Jam Section – Surfrider Foundation will take place in late September in the city of Porto, in Portugal. 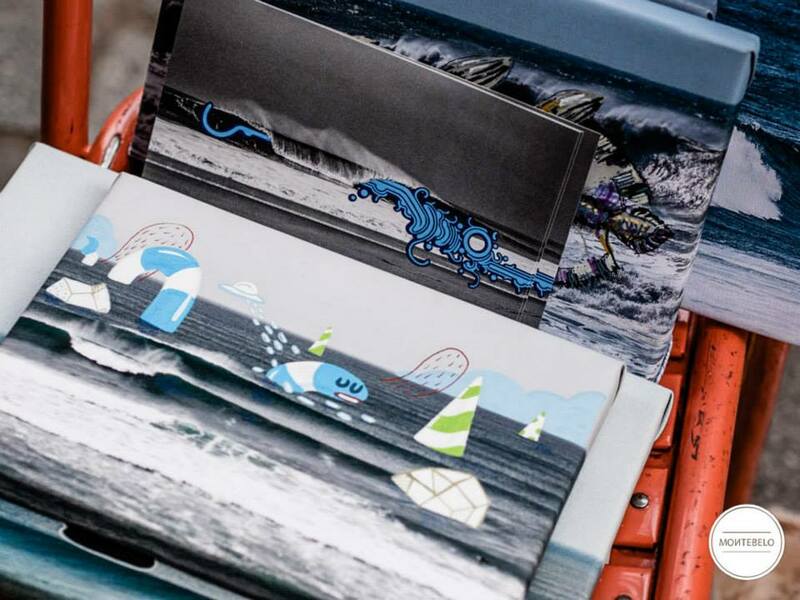 The idea came from the union of two passions: the sea and urban art! 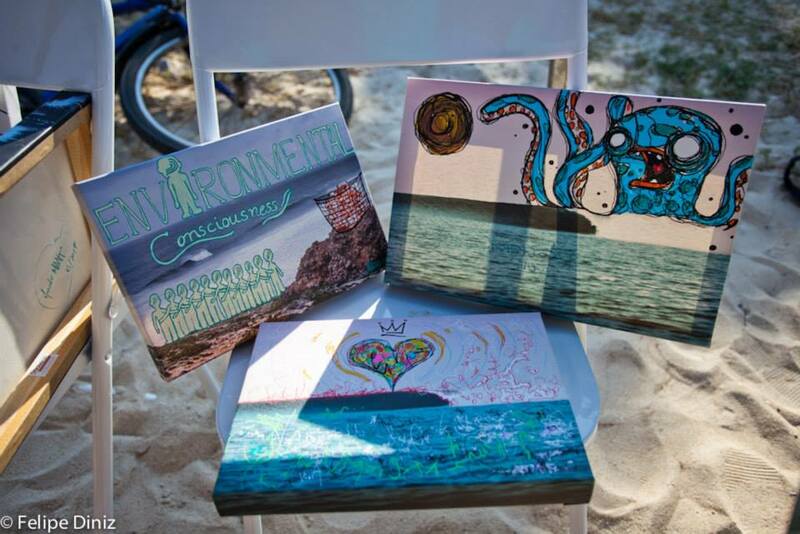 Montebelo members, in love with this themes, decided to stimulate through art the awareness for the protection of the oceans. Later, we met with the French artist Jean Fauchuer, who patronized our project. Faucheur is also the founder of Le M.U.R. and a figure of great importance for the history of urban art movement in Paris. He encouraged us to make the project real and was very important for its conception. 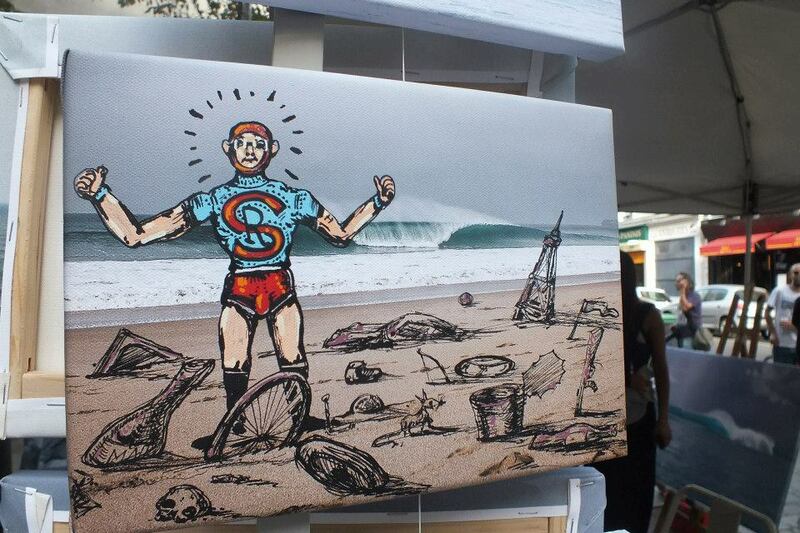 The goal is to use art as a vehicle of awareness about the importance of the constant protection of seas and oceans, besides, of course, to raise money through the sale of the works on behalf of Surfrider Foundation. When the project happens, it’s a relaxed gathering for good people to discuss things that can help to preserve the seas and oceans. 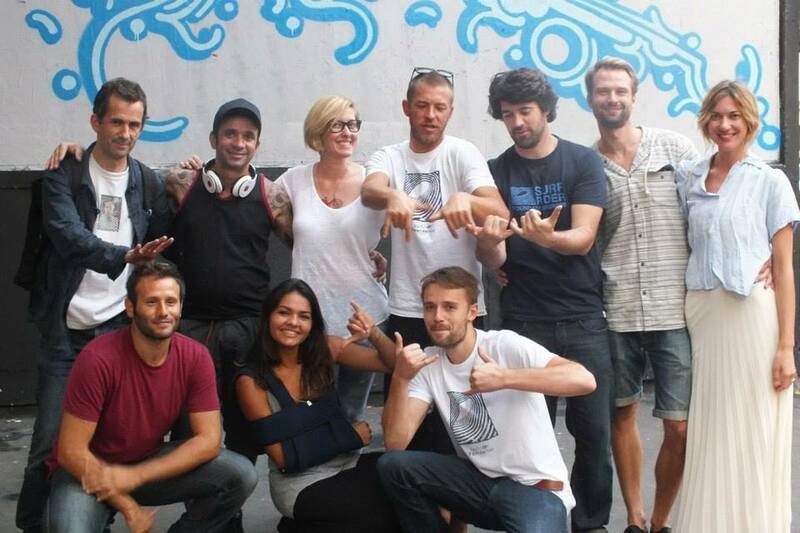 On August 22, 2013, the graffiti artist Zezão, from São Paulo, was in Paris for a performance at Le M.U.R. in the Belleville neighborhood. This was the perfect occasion to give the project the initial kick-off. The whole Montebelo crew was in town and put their hands to work and make this dream come true. 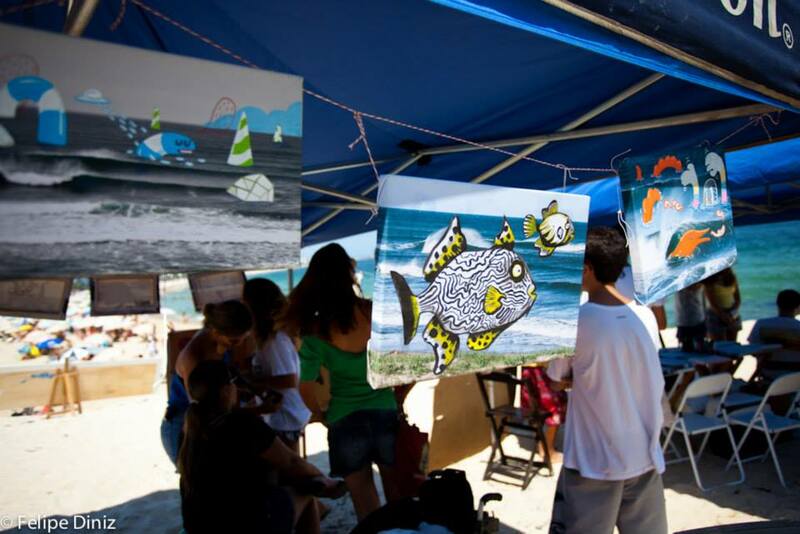 On January 28, 2014, at Pontão do Leblon, was held the second edition in partnership with Conexão Cultural, Rocinha Surf School and Mundo Posca. 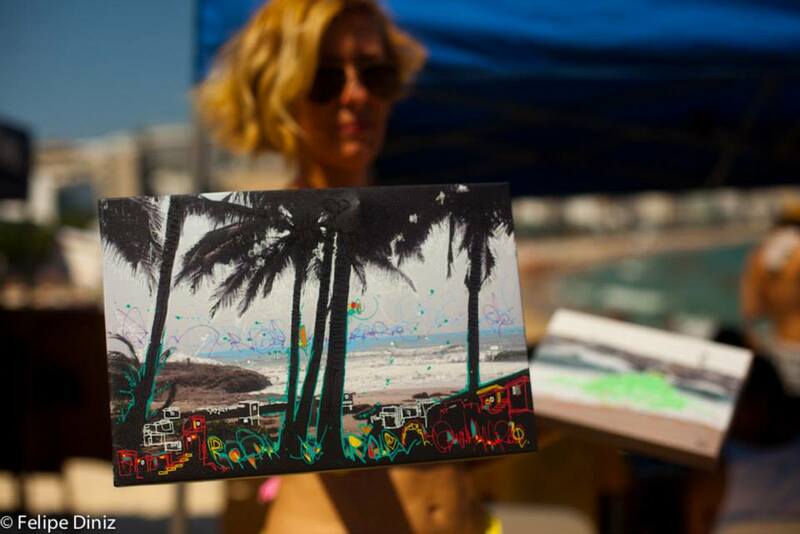 On a sunny day, with everyone standing on the sand and the sea as a real source of inspiration, 16 art-works were created. 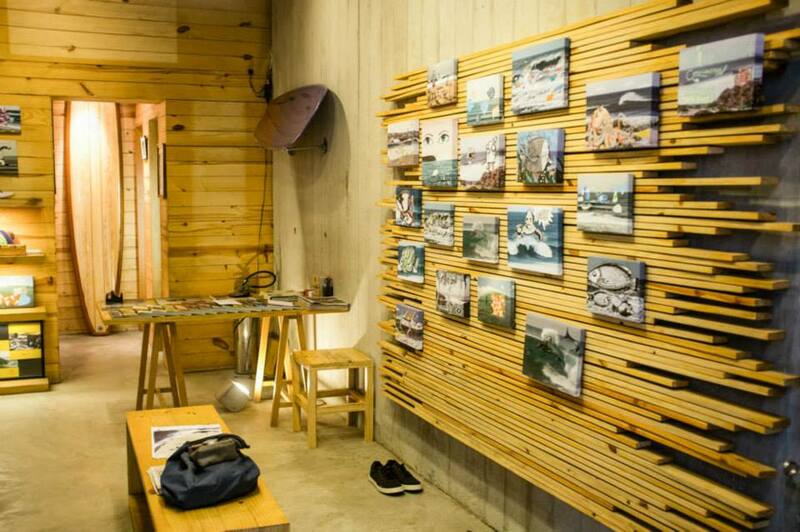 In the sequel, an exhibition was held at the Osklen store Arpoador Surf. The idea is to make these art-works accessible to all. As the works are being created, they travel to be exhibited during the next sections. 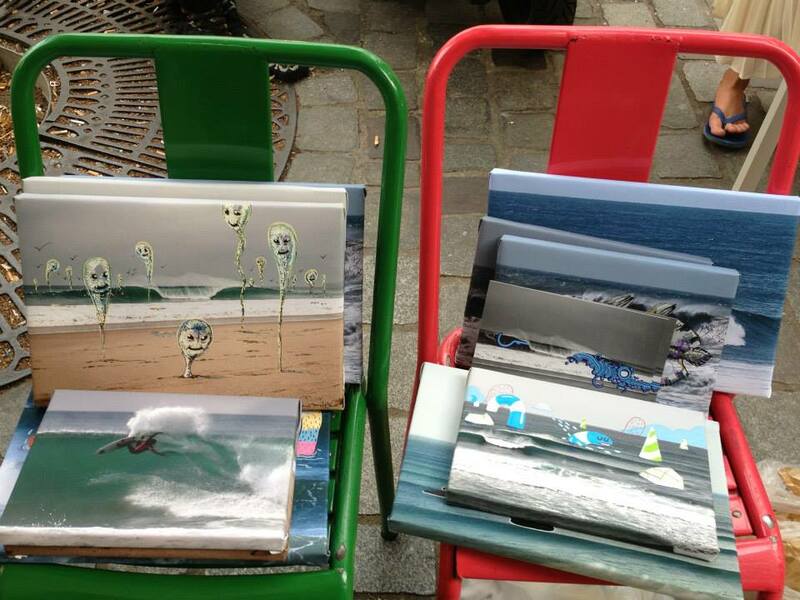 Works created in Paris were exposed in Rio. Now, works created in Paris and Rio will be exposed in Porto. Urban art has the principle of being on the streets, breaking the elitist aspect of traditional art, which tends to be seen by few people in museums and galleries. With the journey of our works, the project seeks to turn this contact with art accessible. The idea is to perform two sections per year, one per semester, in different places. After Portugal, we plan the next steps in Germany and Austria in 2015. The works are for sale since now, but we believe that with an increase in the volume of work, we will have more sales force, and who knows in the near future, a large exhibition. How can I participate in the project – section Portugal? The project is 100% collaborative. You can also join our project and our future steps. Welcome to the project, our beloved oceans thank you!